I have always been one that likes fresh starts. New school supplies in August? Yes, please! New books from my favorite bookstore? Of course! New workout clothes to inspire my health goals? Let’s Do It! New planners to write all my hopes and dreams and goals? Absolutely! I enjoy the look and feel of new things, and for the most part, my obsession passion preference for new things also includes the new year (Hello 2019, I’m talking about you!). However, and here’s the kicker, I really don’t like change. How’s that for irony? I like the shine of the new jewelry, the smell of the new car, the feel of the new leather bound journal, but I really, really don’t like change. Change tosses my world around like salad bits in a bowl. It knocks over my perfectly ordered stack of post-it notes. Change twists my stomach into pretzels with nervous uncertainty. Which makes reviewing the goals and plans from the previous year a bit tricky because while I was happy with the results of a few things, I was not exceptionally content with the rest of the list. 2018 was bumpy. There were successes and disappointments. There were losses and illness. Some goals, like #FaithPitch growth, were reached, yet quite a few plans still were sitting at the bottom of the page. None of these were particularly bad or wrong, but as I began praying over the tasks, ideas, and goals for 2019, I realized that I was feeling tired and sensitive, and there was a longing to feel more … More Joy … More Peace … More Jesus. 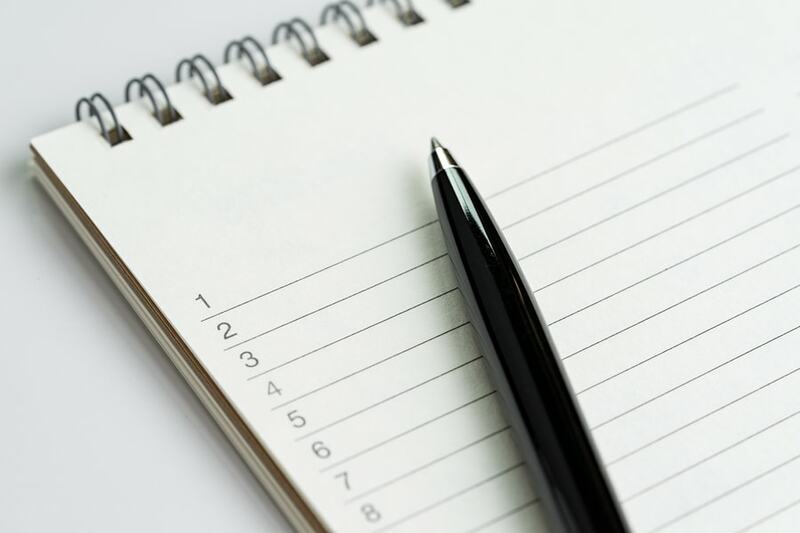 Since I knew I would be revising both my personal and business to do lists, I knew that I needed to confront the things that hadn’t been successful, but change for the sake of change wasn’t the answer. That wasn’t going to help me feel more joy, peace, or Jesus. It would just bring overwhelm. As I browsed our ambitious plans we’ve been praying over and working on for this new year, I realized it wasn’t change that I sought, but rather …IMPACT. According to Merriam-Webster, the word impact (as a noun) means “the force of impression of one thing on another : a significant or major effect”. I want to feel that impression, that the impact we have, specifically as a company, this year is positive, influential, and transformative. As the leader of Little Lamb Books, I want us to expand and grow carefully and consistently to allow more authors to make bigger impacts on readers. As the leader within a constantly changing industry, I want to shift the focus off self and instead focus on impacting a generation for Christ. And, of course, as a mom and wife, I want to deposit positive words and experiences into our family life day to day that will impact the ways we interact with each other and those around us. 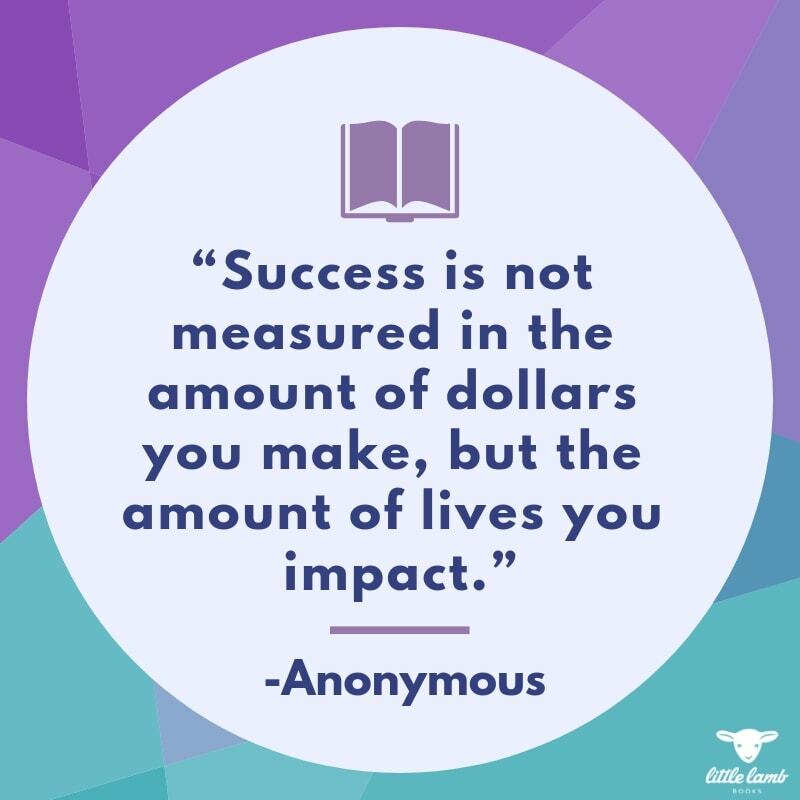 Impact encompasses so many things, and offers my family, our staff, and our authors the opportunity to influence change, create encounters, and guide experiences. It’s my prayer that we, at Little Lamb Books, will be an encouragement to others and have a positive and influential IMPACT for the kingdom of God … through our authors and their books, at events and conferences, and in our company presence and voice within the industry. I can’t wait to see all the ways we will have an IMPACT together in 2019. P.S. To check out last year’s Word of the Year, visit here.